cubatravel has been a member since February 27th 2014, and has created 4 posts from scratch. Cayo Saetia is pristine cay, located 120 km (75 mi) southeast of Holguin between the Bay of Nipe & the Atlantic Ocean. The island isn’t very easy to get to, but if isolated and totally unpopulated, sugar-white cove beaches are of interest to you, it could without doubt be worth the effort. A one-time exclusive game resort, the cay has an exceptional roster of flora and fauna, which includes not just deer and wild boar, but also a wild collection of exotic animals like antelopes, ostrich, water buffalo, and zebras. 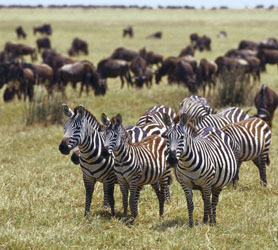 Most excursions include snorkeling, boat trips, jeep safaris, horseback riding, and lunch on the beach. There’s one hotel on the cay, Villa Cayo Saetia, with 12 nice cabanas. Cayo Saetia is about 90 minutes from Guardalavaca by car and just 20 minutes by helicopter the preferred method of transport from the beach area. Villa Cayo Saetia offers as an unparalleled paradise and is at one with the truly stunning environment that surrounds it. This small village is located on the island of the same name. 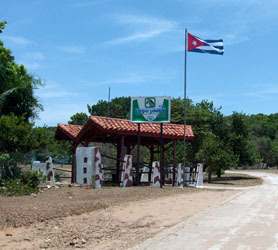 Cayo Saetia located in the Nipe Bay, the largest natural bay in Cuba about 120km southeast of the Holguin City. You can arrive to Villa Cayo Saetia by sea, by land or over the short causeway bridge that connects the island to the mainland. There is also a service by air, using an helicopter located in Guardalavaca which is the preferred method used by most guests who visit the hotel. Inside a true nature reservation at Villa Cayo Saetia you will be visited by wild antelopes and zebras along with other African animals imported here over 5 decades ago. The Island offers wide flora diversity along with beauty endemic and exotic fauna. 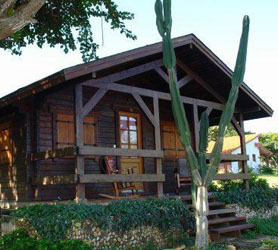 A truly unique experience, like staying at a mini African game reserve but in Cuba! Our hotel is also just 5 minutes from this amazing beach. Our booking process is unique because it shows the best rate from all of these for Villa Cayo Saetia hotel in Cuba and the types of rooms available. Our Villa Cayo Saetia rate comparison is an industry first for Cuban Hotels. Once you’ve compared the rates, finalizing the booking at Villa Cayo Saetia Hotel takes just seconds and an immediate confirmation is provided in real-time. Cuba Hotels by province is offered exclusively from the Cuba Cayo Saetia Team at Travelucion. Browse Cuban hotels by category, price or read Cuban Hotel Reviews. Travelucion also offers independent reviews on over 400 Casa particular in Cuba all accessible from the links below and conveniently situated in each Cuban province. East of the town of Mayarí the road becomes increasingly bumpy and the surroundings, while never losing their grimy rural charm, become gradually more remote. The culmination of this rustic drive is the lovely paradise cay of Cayo Saetia. Essentially, Cayo Saetia is a small and flat wooded island in the bay called Bahía de Nipe that’s connected to the mainland by a rickety bridge. During the 1970s and ’80s this was a favored hunting ground. Cayo Saetía is now a protected wildlife park with 19 species of exotic animals, including camels, zebras, antelopes, ostriches and deer. Bisected by beautifully green meadows and adorned by hidden coves and beaches, it’s the closet Cuba gets to an African wildlife reserve. The island is well worth a visit and we will assist you in both renting a car and your accommodation of the island. We also offer day trips to Cayo Saetia from Guardalavaca by helicopter or buses.